Older Single Mum: Single Mums' Stories. The point of this blog has always been to be a voice for that single parent who is not what the general media perceive, or even portray her / him to be. Apart from my general chat and malarchy and stuff defying this myth, I have collected together a number of intelligent other voices to tell their stories. Their views of single motherhood and how their situations came about personify, indeed, the not-so-young-single-mum. Each has something important to say. Each is an inspiration. Each has their own voice. It is a pleasure and an honour to hear them here. Please show them your support. Kairen (Confessions of a Single Mum) Varker. My own - courtesy of Netmums, featured to kick off their 'Busting the Myths' Single Mums Week, inspired by this series of stories. Elaine (Mortgage Free in Three) Colliar. Hello there, stumbled upon your blog and just love it. 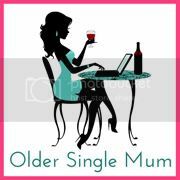 I'd love to get involved, as you can see I also have a new blog/homage to the older single mum: http://mumandthat.com. 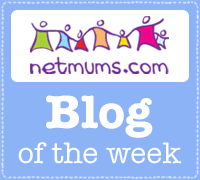 Delighted to find your blog, via new PJ Mummy. I suppose I don't exactly count as a mum yet as I am a foster carer, but as I'm about to adopt one of my fostered children (at the age of 39!) I'll soon be joining your ranks. I've never married and have no birth children. There aren't that many single mums in the circles in which I move - nice to find a community that is celebrating the stereotype-breakers! very handy links for me to look at putting into my single parent blog, thanks!! !